Would you like to have your own free range eggs? They taste superb and you also know exactly what the chickens have been fed on and how well they’ve been looked after. 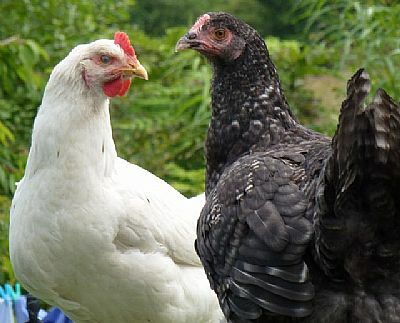 Chooks make superb pets too – they are real characters! In a permaculture system chickens have more uses then just producing eggs. Well-managed they can clear your veggie plots of weeds and slugs, rake the soil to a fine tilth and fertilise it to boot. Chickens take surprisingly little looking after – they just need a clean, warm and dry shelter, food and clean water and space to roam. I keep mine in an Eglu Cube and run ‘Omlet Hen Parties’ where you can learn how easy it is to keep chooks plus snack on produce made from my very own eggs. Hen Parties are run at my smallholding where you can also meet my flock of Call Ducks which I keep in an Eglu Classic. Please book through the Omlet website. Ever wanted to keep bees but didn’t know where to start? 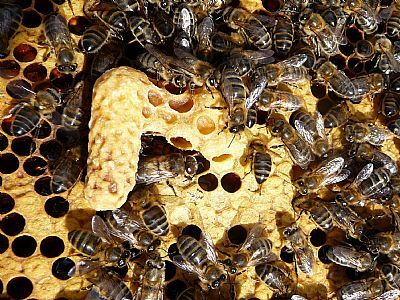 We offer an introductory session where you’ll learn the basics of what you’ll need to get started, how to identify the different kinds of bees (workers, drones and queens) and their cells, the lifecycle of the bees in the hive and the tasks you’ll need to carry out over the beekeeping year.. Weather permitting (the bees don’t like being disturbed when it’s wet) you’ll also get the opportunity to get suited up and have a look inside our hive. Ceci holds a Certificate in Permaculture Design (PDC) and is working towards a Diploma in Applied Permaculture. 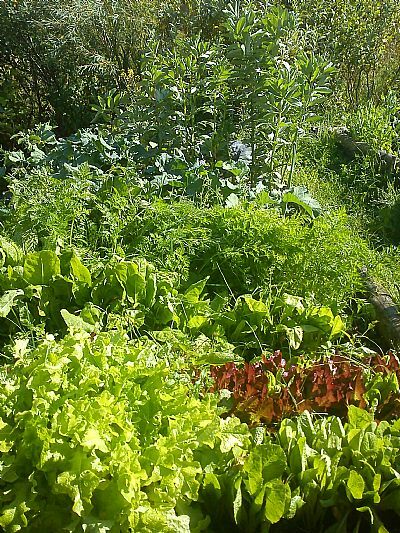 She can advise on garden and landscape design along permaculture principles and also runs short courses and workshops on aspects of permaculture and sustainability. This workshop takes you through the stages of planning your garden or smallholding from defining your vision and dreams, observing what you already have, quantifying what you’ll need and working on an action plan to put your dreams into reality. There’ll be time for imagining your vision and day dreaming and for sharing and discussing your dreams with others. More practically, I’ll be teaching how to assess what you already have so I’ll show you how to draw up an accurate site plan using the taped-offset survey method. I’ll also show you how to assess any slopes in your garden (essential for planning drainage) using basic tools that you’ll probably already have such as spirit levels, measuring tapes and hoses. Finally we’ll discuss how to realise your dreams so you’ll go away with a hit list of what to do next. Full day course, bring a packed lunch. Tea, coffee and bikkies will be available all day. I will send you details of how to get to the venue when confirming your booking.